As growers know, FHB fungi can produce toxins that limit the grain’s use for food and feed. The grain’s concentration of deoxynivalenol (DON), the most common FHB toxin, is the critical limiting factor for most buyers. The air fractionator uses air aspiration to separate kernels based on their density; Fusarium-infected kernels are less dense. FHB fungi can produce toxins that limit the grain’s use for food and feed. In this project, Newkirk and two of his graduate students are developing, evaluating and optimizing several post-harvest methods to reduce DON in Fusarium-affected grain. Their aim is to develop improved systems that provide high returns for producers and the industry, while ensuring the grain is safe to use. In their experiments, the two students are measuring the actual concentrations of DON in the grain – they aren’t bothering to count Fusarium-damaged kernels. “Traditionally, the level of Fusarium damage, and therefore the potential for DON, was visually assessed using the Fusarium-damaged kernel count. Unfortunately, there are lots of kernels that do not have visible signs of the disease but contain the toxin. So it is really important that we in the industry measure the actual toxin,” explains Newkirk, who is an associate professor in the U of S department of animal and poultry science. One of the students is working with barley, and the other is working with wheat and durum. Each of these crops has its own particular kernel characteristics, FHB resistance levels in its cultivars, and end uses. “For example, much of our barley is grown for malt. The malt industry has a very low tolerance for Fusarium. So we are trying to achieve much lower levels of DON in barley than in wheat that would be going to feed for poultry [which are relatively tolerant of DON],” Newkirk says. The project’s goal is to get as much value out of Fusarium-affected grain as possible. Newkirk’s team is using two approaches to achieve that goal. One is to separate the high-DON kernels from the low-DON kernels. The other is to reduce the toxin levels in the high-DON kernels. 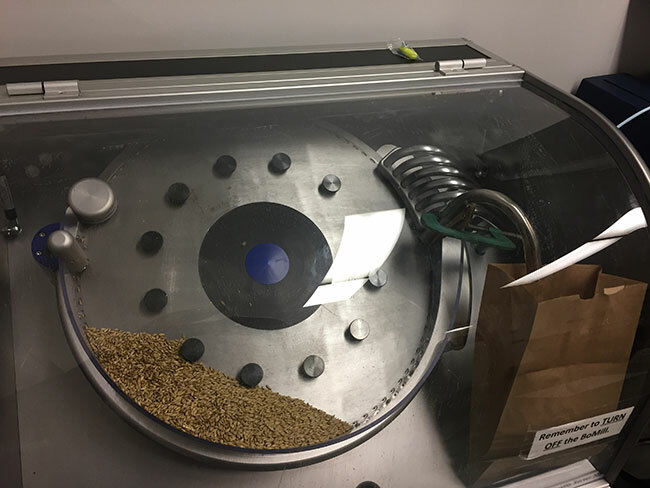 Newkirk’s team is comparing three methods to separate the high-DON kernels from the rest of the grain: an air fractionator, near-infrared transmittance using a BoMill unit, and an optical sorter with near-infrared capacity. In optical sorters, the grain falls past multiple cameras that evaluate the external characteristics of the kernels. He notes, “Initially, the cameras on optical sorters were very simple, just black versus white. If all your grain is white, and the cameras see a black one, then the sorter activates an air nozzle that puts the black one in another channel. Over the years, the cameras have become much more sophisticated, detecting individual colours and gradients of colours, and then sizes and shapes. More recently these sorters have added infrared [detection], which is beyond the spectrum of visible light, the light that we can see. Infrared light gives you a whole different look at the seed.” Optical sorters can remove kernels with obvious Fusarium infection. The BoMill near-infrared transmittance technology measures the wavelengths of light that pass through individual kernels. “It basically measures chemical changes in the seed [caused by Fusarium infection] to predict the amount of DON,” Newkirk explains. For each sorting technology, Newkirk’s team will be experimenting with different equipment settings and other factors to find the most effective and efficient procedures. The air fractionator uses air aspiration to separate kernels based on their density; Fusarium-infected kernels are less dense. Once the good kernels are separated from the high-DON kernels, you still have to deal with the resulting pile of high-DON kernels. Newkirk and his team are experimenting with two ways to reduce DON levels in the high-DON kernels. One method involves abrasion. They are putting high-DON grain in a cement mixer for a short time, so the kernels bump against each other and knock loose some of the hyphae (fungal filaments). They are testing various options such as adding different mediums with the grain in the mixer and trying different ways to remove the loosened hyphae from the sample. The other method uses ozone to oxidize the DON, converting it into a non-toxic compound. Their plan is to introduce ozone gas into the grain while the grain is dried down for the winter with an aeration fan. They will be applying the ozone at different concentrations and timings, and storing the grain under moisture and temperature conditions that would occur post-harvest in Saskatchewan. This project runs from December 2017 to December 2020, so it’s still very early in the research. However, Newkirk and his team are already seeing some promising effects from their initial experiments. “We’ve done a fair bit of BoMill work, and we are really impressed with what we’re able to achieve with it. For example, we are able to recover about 80 per cent of the grain at a level below the target DON level; in the case of barley, that target is below one ppm [part per million],” he notes. “The air fractionation is working better than I would have imagined. We’re getting over 50 per cent recovery of grain with low levels of DON from grains that have pretty high DON. Once they have all the data from all the experiments, Newkirk’s team will use an optimization program to see which settings and combinations of methods would give the greatest returns. Newkirk offers two key tips for producers dealing with Fusarium-affected grain. First: “Know what you’ve got. I certainly suggest that you test the material for DON. [The testing kit] costs a little bit of money, but it is a relatively easy test and can be done on-farm,” he says. 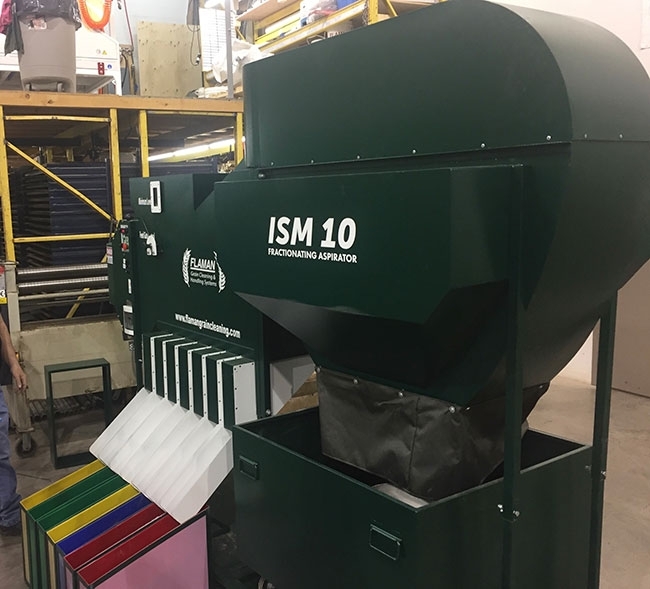 According to Newkirk, optical sorters have become fairly common in Prairie seed cleaning plants, mainly because this technology is extremely efficient at removing ergot. Some plants are also using these sorters to remove kernels with obvious Fusarium infection. The project is funded through Sask Barley, Sask Wheat and the Saskatchewan Ministry of Agriculture’s Agriculture Development Fund.